Thinking about updating your home a bit before the hustle of the holidays this year? Now is the time! 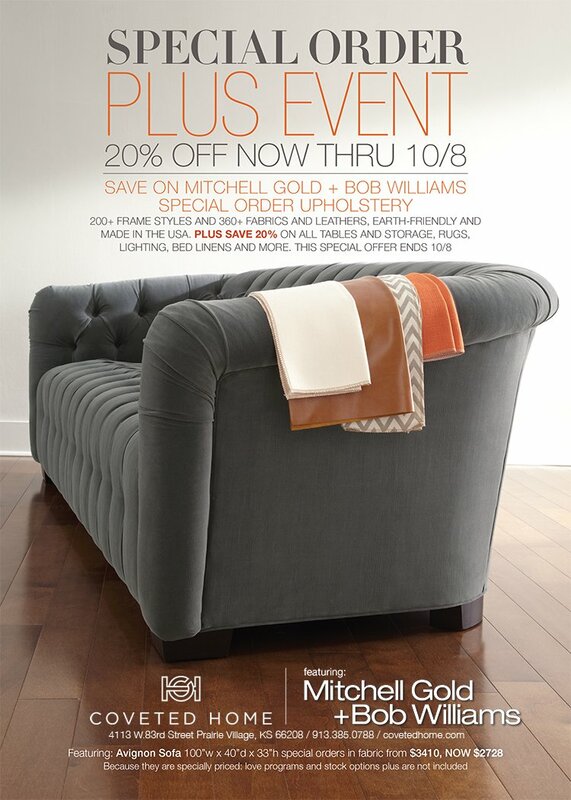 Not only will your furniture arrive in time for your big Thanksgiving gathering you will save 20% off any Mitchell Gold + Bob Williams special order placed now through October 8th. We are here to help you design your life.